I would like to start from scratch. How do I empty the database in order to have a clean start? 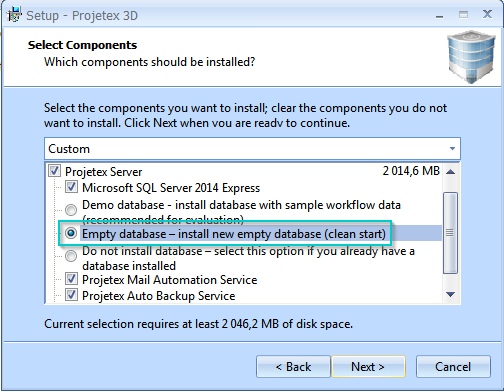 Then, run the Projetex 3D Setup again and select the "Empty database" option instead of "Demo database" from the setup options. Did select Empty Database and still have all Demo clients. While downloading got error message telling me deleting would be skipped to prevent data lose. I still have all your demo clients. >deleting would be skipped to prevent data lose. Then please install the program again and select the 'Empty Database' option when prompted.